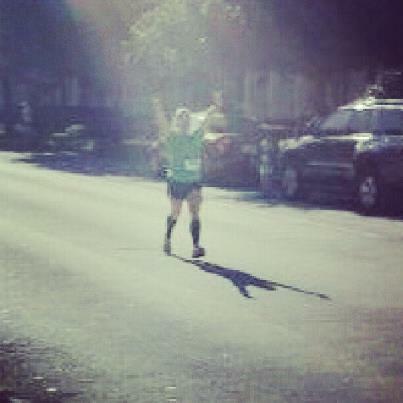 So, this might be one of the worst race finish photos I've ever had quality-wise, but it's one of my faves. In this shot, I am crossing the finish line of my 9th half with a 3-minute PR and two of the world's best friends waiting at the finish . . . . LIKE A BOSS. Just behind me a few minutes, one of my other pals finished her first half.